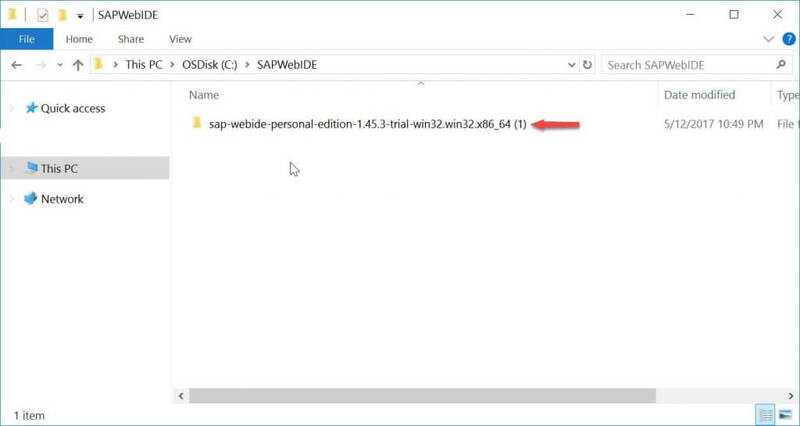 Hello everyone, in the tutorial i would like to share the steps on how to upgrade SAP Web IDE Personal Edition in windows system. 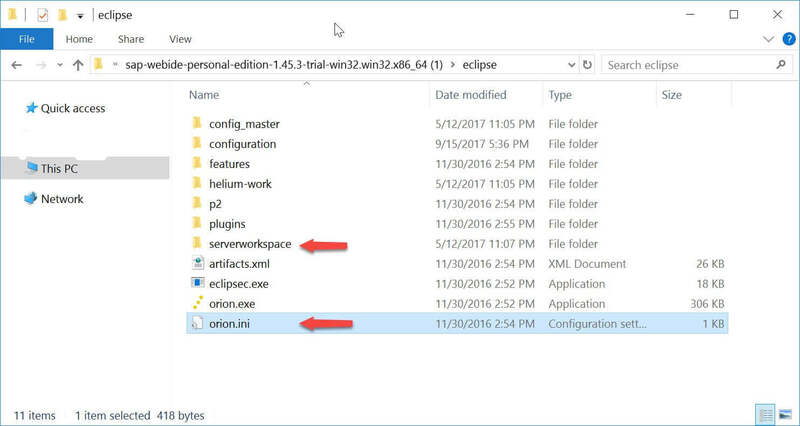 if you have not installed Web IDE Personal Edition check out this guide for step-by-step installation. 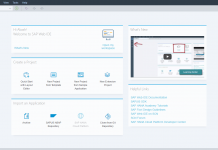 The Web IDE personal edition is updated quarterly and may not include features of SAP Web IDE on SAP Cloud Platform. 1. 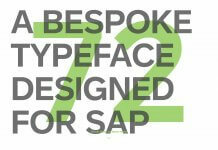 Navigate to previously SAP Web IDE Personal Edition installed folder. 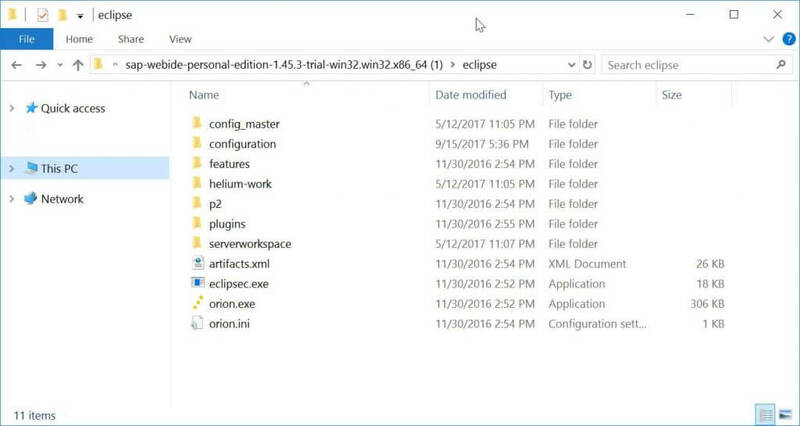 In my case i have installed in C drive with the path C:\SAPWebIDE\sap-webide-personal-edition-1.45.3-trial-win32.win32.x86_64 (1)\eclipse like below. orion.ini (file): This file holds proxy information. orion.conf (file): This file is used when the Orion configuration is changed. destinations (folder): This folder contains the destination you have set up. 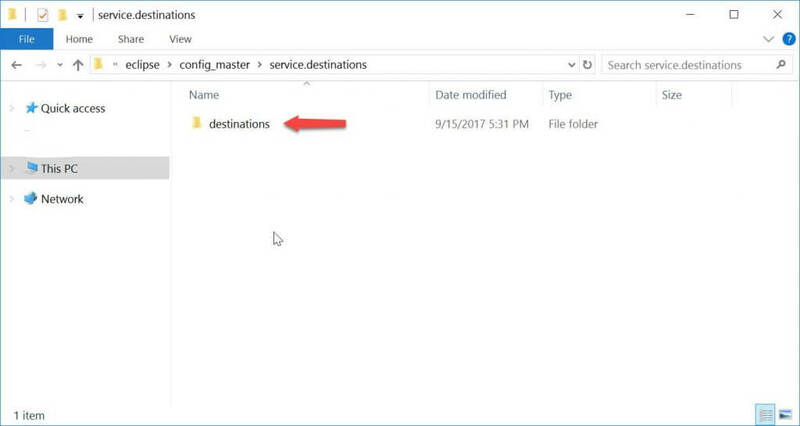 serverworkspace (folder): This is the folder where all the users and their workspaces are stored. orion.conf (file) if you have not done any Orion application server earlier, ignore this file. 6. Restore the files which we took back up in the step-2 into respective files/folder in new version files/folder.